Even if you have never been in trouble or arrested for DUI before, a DUI arrest can be devastating. DUI convictions are costly in time, money and emotional effort. In order to avoid steep penalties, it is crucial that you obtain the best representation for your case immediately!! The faster you call the attorneys at Finebloom, Haenel & Higgins, the sooner we can start protecting you and your rights. What is the maximum jail time for a first time DUI? A first time DUI carries a maximum sentence of six months in the county jail. If your blow was a 0.15 or higher it is increased to nine months in the county jail. What are the fine amounts for a first time DUI? The minimum fine for a first time DUI is $500. If the blow was 0.15 or higher it is increased to $1000. The judge does have discretion in some cases to allow you to work off the fine amounts in community service hours. The rate of exchange is $10 off of the fine amount for every hour of community service performed above the statutory requirements. Are there additional penalties for my first DUI? In addition to the fines, license suspension and any jail time, you must be sentenced to 12 months of reporting probation. In Tampa this probation is monitored by the Salvation Army. There is a monthly fee for every month you report. During the 12 months you are on probation you must pay court costs and perform a minimum of 50 hours of community service. It will also be mandatory for you to attend DUI School through DUI Counterattack, Hillsborough, Inc. As part of the DUI School, you will be ordered to obtain a substance abuse evaluation. If it is determined that you have a problem with drinking or drugs, you will be ordered to attend counseling sessions at your own expense. The probation officer will have to impound your vehicle for a period of ten days. If you do not own a vehicle at the time of sentencing, the judge will order the impound for any car you obtain during the length of your probation. Is an ignition interlock required for a first time DUI? If you blow over a .15 you will be required to place an ignition interlock in any car you drive for a period of six months – even if it is your first offense. An ignition interlock is a device that attaches to your vehicle’s starter system. You must blow into the system to ensure there is no alcohol on your breath in order to start the car. There is an installation fee as well as a monthly fee for this device. What happens to my driver’s license? When you are arrested for DUI there are two separate license suspensions. The administrative suspension and the criminal suspension. When the officer arrests you for your DUI, the officer will take away your license. If you blow over a .08, your license will automatically be suspended for 6 months unless you hire an attorney to challenge that suspension. This suspension is effective almost immediately upon your arrest. No conviction required. If you enter a plea, or if you lose at trial, you will have a second license suspension imposed. This is the criminal suspension. The criminal suspension can be from six months to one year. This suspension is in addition to the administrative suspension and does not take effect until you are sentenced. What are the non-criminal sanctions for a first time DUI? As you can see, a DUI conviction has severe penalties. It is expensive and time consuming. But the penalties do not end once your probation is over. You can never expunge a DUI charge from your criminal record so it may affect your ability to get a job or obtain housing. You will also suffer increased insurance costs. Not to mention the expense of taxis and busses while your license is suspended and the time lost from work or school. In order to avoid the consequences of a DUI you need to hire a competent attorney immediately! Attorneys experienced in DUI arrests can start to assist you before you are even released from the jail. Do not trust an inexperienced or overworked attorney to protect you. At Finebloom, Haenel & Higgins, our attorneys have over 20 years of combined DUI experience. We are understanding and aggressive. 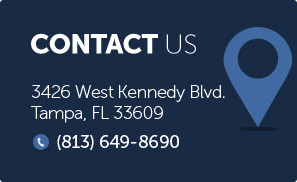 Call the law offices of Finebloom, Haenel & Higgins now at 813-200-4421! Let us help protect your rights!